TANAUAN, Batangas — Representatives from different sectors here aired their grievance over the high prices of goods as they pushed for the immediate passage of Sen. Bam Aquino’s Bawas Presyo Bill into law. “Hindi man ito prayoridad ng gobyerno, certified urgent ito ng mga mahihirap na Pilipinong nalulunod na sa taas-presyo,” Sen. Bam said during the “Kumustahang Bayan” held at the Trading Post in Tanauan, Batangas. During the dialogue, representatives from the farmers, senior citizens, tricycle drivers, market vendors, and fisherfolk sectors informed Sen. Bam how the Tax Reform for Acceleration and Inclusion (TRAIN) Law has affected their livelihood. “Mataas ang kuha namin ng gulay, ngunit hindi namin ito puwedeng ibenta nang masyadong mahal dahil wala nang bibili sa amin,” said Lucile Mangaya, a vegetable vendor. “Marami na ang natitira sa aming paninda. Natutuyo at nabubulok na lang ang mga ito,” she added. Francisco Reyes, a tricycle driver, said the high price of gasoline has affected his daily income that prevented him from providing enough food and clothing for his family. “Para mabawi namin ang gastos sa gasolina, dapat lima ang sakay namin bawat biyahe. Pero dahil apat lang ang kasya sa tricycle, lugi na agad ang pasada namin,” said Reyes. Nick Chavez, president of the senior citizens’ organization in Tanauan, said they have yet to receive the additional P200 monthly financial assistance under the TRAIN Law. The representatives urged Sen. Bam to do everything he can to have his Senate Bill No. 1798 or the Bawas Presyo Bill enacted into law to ease the burden caused by high prices of goods. “Kailangang-kailangan nang maisabatas ang panukala ni Sen. Bam dahil hirap na hirap na po kami sa taas ng presyo ng bilihin,” said Marissa Gatdula, president of the Kalipunan ng Liping Pilipina (KALIPI). 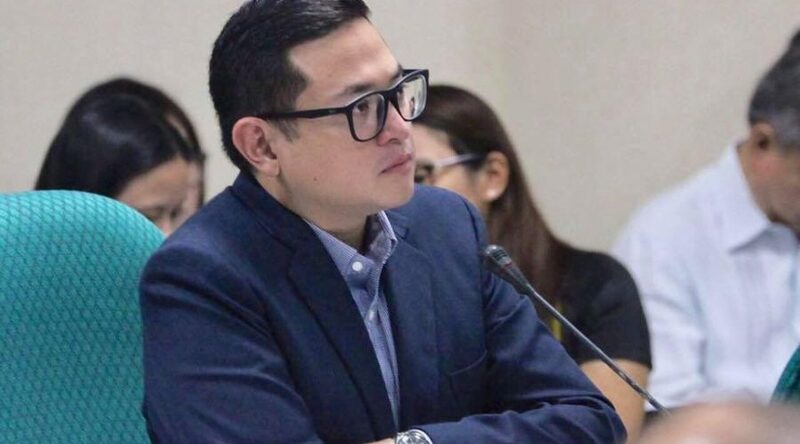 Sen. Bam, for his part, has committed to work for the passage of his measure, which aims to suspend the excise tax on fuel under the TRAIN Law when the average inflation rate surpasses the annual inflation target over a three-month period. If passed, the Bawas Presyo Bill will roll-back this year’s increase in the excise tax on petroleum and will suspend another scheduled increase in January 1, 2019. Sen. Bam is one of four senators who voted against the ratification of the TRAIN Law. As the economic managers keep missing targets, Filipino families continue to suffer, according to Sen. Bam Aquino. “Tuwing sumasablay ang gobyerno, taumbayan ang natatamaan,” said Sen. Bam, who filed Senate Bill 1798 or Bawas Presyo Bill to suspend Tax Reform for Acceleration and Inclusion (TRAIN) Law’s excise tax on fuel. “Pag mali ang prediksiyon ng economic managers, taumbayan ang nalulunod sa taas-presyo. Pag palpak ang NFA Administrator, taumbayan ang nagugutom. Alalahanin sana ng mga lingkod bayan na ang mga Pilipino ang sasalo pag may kakulangan sa ating trabaho,” Sen. Bam added. Last year, the government released projections that inflation will be within two percent to four percent. It later revised this projection to four percent to 4.5 percent. Presently, inflation stands at 5.7 percent. And in a recent Senate hearing, the Department of Finance admitted they did not study the indirect effects of the TRAIN Law. The country’s GDP hit 6.8 percent in the first semester, short of the target of was 7-8 percent. Rather than working on other means to lower inflation, Sen. Bam said the government should support his measure that aims to suspend the excise tax on fuel under the TRAIN Law. “Solusyunan na natin itong taas-presyo. Simple lang, ipasa ang Bawas Presyo Bill at tanggalin na ang excise tax sa petrolyo,” urged Sen. Bam. Sen. Bam stressed that this should be certified urgent since there is a scheduled second round of increase in excise tax on fuel under the TRAIN Law in January 2019. Senators Francis “Kiko” Pangilinan and Paolo Benigno “Bam” Aquino have called for an inquiry in aid of legislation on the rice crisis in Zamboanga City and the eight-month hike in rice prices in the country. Aside from Zamboanga City, Isabela City in Basilan was also placed under a state of calamity for 60 days also due to rice scarcity, they added. Pangilinan was Presidential Assistant on Food Security and Agricultural Modernization during the Aquino administration, and rice supply and prices were kept stable even during the dry season brought by the El Nino phenomenon. 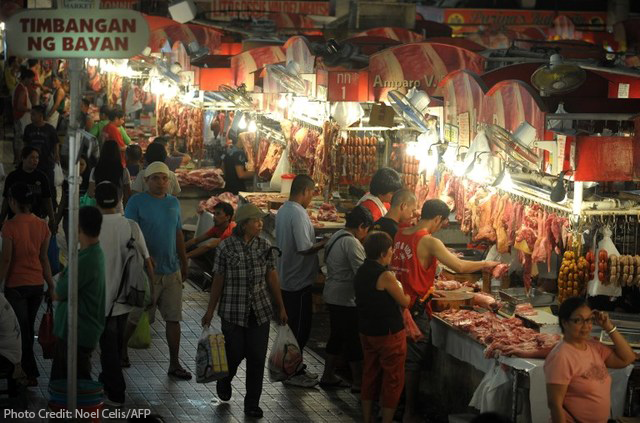 An anti-TRAIN advocate, Aquino has also filed Senate Bill 1798, or Bawas Presyo Bill to lower the prices of goods in the market. The measure seeks to suspend excise tax on fuel under the Tax Reform for Acceleration and Inclusion (TRAIN) Law when prices increase above government targets. While Bawas Presyo Bill can help reduce price of rice, Sen. Bam Aquino insisted that the root cause of the rice crisis is gross mismanagement of the National Food Authority (NFA). “Makakatulong ang Bawas Presyo Bill sa pagpapababa ng presyo ng bilihin, pati ang bigas ngunit ang puno’t dulo ng krisis sa bigas ay ang kapalpakan ng NFA. Dapat nang palitan ng Pangulo ang namumuno sa kapalpakan na si NFA administrator,” said Sen. Bam, who recently filed Senate Resolution 868 with Senator Francis “Kiko” Pangilinan to investigate the rice crisis in Zamboanga City. “Kung hindi tatanggalin sa puwesto si Jason Aquino, sana tamaan siya ng hiya at magbitiw na lang para umayos na ang takbo ng NFA at mabawasan ang nagugutom na pamilya sa bansa,” emphasized Sen. Bam, adding that the rice crisis will not be solved if the NFA administrator remains in his post. Sen. Bam slammed the NFA’s failure to provide poor Filipinos with enough supply of affordable rice despite the importation of around 500,000 metric tons of rice. “Hanggang ngayon, hindi pa rin maramdaman ang epekto ng ibinibida ng NFA na magkakaroon ng sapat na supply ng murang bigas sa merkado,” said Sen. Bam. Also, Sen. Bam said the NFA has yet to fulfil its promise that importation will lower the price of commercial rice in the market, stressing that the price of rice has increased for the eighth straight month, per a report by the Philippine Statistics Authority (PSA). “Kung hindi nila magawa ang kanilang tungkulin, wala silang karapatang manatili pa sa puwesto ng kahit isang segundo,” said Sen. Bam, who recently filed Senate Bill No. 1798 or the Bawas Presyo Bill as means to lower the prices of goods in the market. Sen. Bam’s measure seeks to suspend the excise tax on fuel under the Tax Reform for Acceleration and Inclusion (TRAIN) Law when the average inflation rate surpasses the annual inflation target over a three-month period. Amid a fresh round of increase in fuel prices, Sen. Bam Aquino renewed his push for the passage of his measure to stop the excise tax on oil products under the Tax Reform for Acceleration and Inclusion (TRAIN) Law. Sen. Bam insisted that the suspension and rollback of the excise tax on fuel would help alleviate the continuing rise in fuel prices and lower the prices of goods and services. “Narito ang solusyon, aksyunan na natin. Kailangan magtulungan ang oposisyon at administrasyon para pababain ang presyo ng bilihin,” said Sen. Bam, one of four senators who voted against the ratification of the TRAIN Law. The senator filed Senate Bill No. 1798 or the Bawas Presyo Bill, which seeks to suspend the excise tax on fuel under the TRAIN Law when the average inflation rate surpasses the annual inflation target over a three-month period. Sen. Bam said there is a pressing need to enact his measure into law as there is a scheduled second round of increase in excise tax on fuel under the TRAIN Law in January 2019. 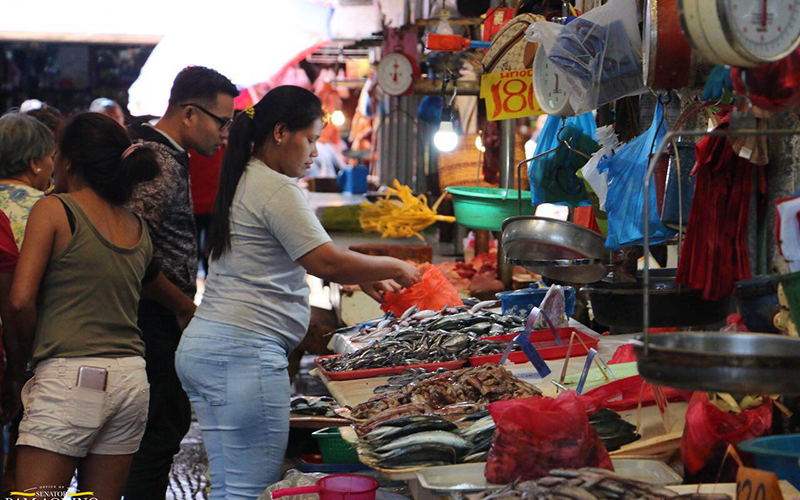 Sen. Bam said the woes on high prices of goods and services will continue if the government continues to ignore the plea of the Filipino people, especially the poor. “Nalulunod na nga sa taas presyo ang mga mahihirap nating kababayan, ito na naman ang panibagong pagtaas ng presyo ng krudo,” said Sen. Bam. “Huwag maging manhid sa paulit-ulit na daing ng mahihirap na pamilya. Hindi po masosolusyanan ang problemang ito kung hindi tayo magtutulungan,” the senator added. Also, Sen. Bam renewed his call for the government to fully roll out the social mitigating measures under the TRAIN Law, including the unconditional cash transfer (UCT) program for poor Filipino families and the Pantawid Pasada Program, which aims to help jeepney operators and drivers cope with the increase in oil prices. 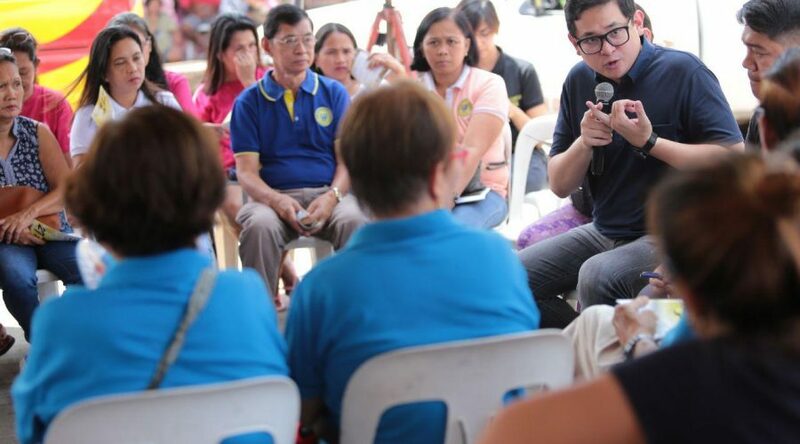 Sen. Bam Aquino said he would rather work on solutions to real problems of Filipinos instead of waste time on fake news and baseless accusations against opposition leader, Vice President Leni Robredo, and her hometown, Naga City. “Bakit pa tayo mag-aaksaya ng panahon sa mga pekeng balita? Ang tunay na isyu, nagugutom na at nahihirapan ang mga Pilipino dahil sa taas-presyo. Solusyunan at aksyunan na natin ito,” said Sen. Bam. “Sana pakinggan ng administrasyon ang totoong hinaing ng tao,” added Sen. Bam, referring to the cries of Filipino people due to the high prices of goods caused by the Tax Reform for Acceleration and Inclusion (TRAIN) Law. Sen. Bam remains hopeful that the government would see the urgency of enacting the Bawas Presyo Bill into law to spare Filipinos, especially the poor, from additional burden. “Ito ang totoo, magtataas ulit ng excise tax sa petrolyo sa Enero. Dagdag dalawang piso kada per litro. Saan na tayo pupulutin? 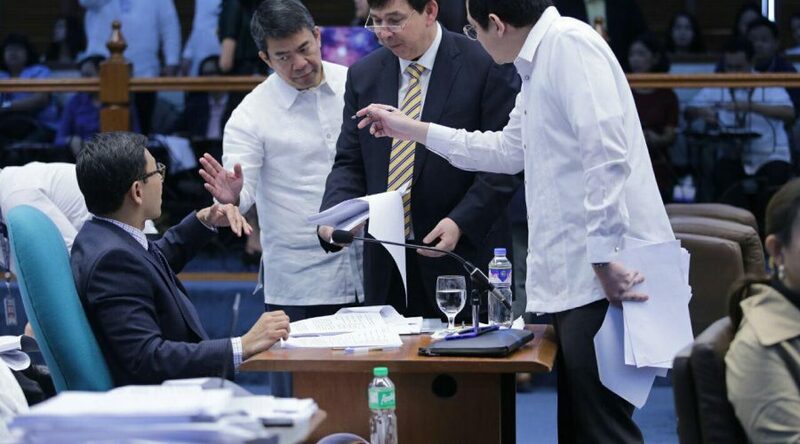 Suspindihin na natin ito,” stressed Sen. Bam, one of four senators who voted against the ratification of the TRAIN Law. In his Senate Bill No. 1798 or the Bawas Presyo Bill, Sen. Bam wants to suspend the excise tax on fuel under the TRAIN Law when the average inflation rate surpasses the annual inflation target over a three-month period. 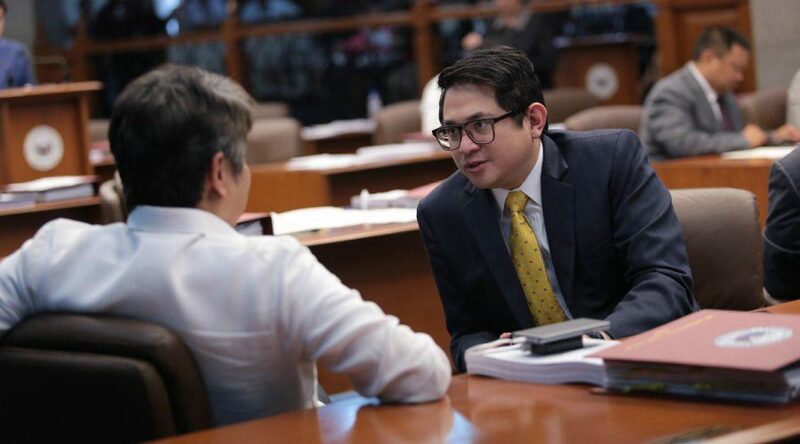 Sen. Bam Aquino disputed the government’s pronouncement that there will be no jobs lost if the second package of the Tax Reform for Acceleration and Inclusion (TRAIN) will be enacted into law. “Huwag na po niyong paikutin ang taumbayan. Nalulunod na nga sa taas presyo dahil sa TRAIN 1, lolokohin nyo pa pagdating dito sa TRAIN 2,” added Sen. Bam, one of four senators who voted against the ratification of the first TRAIN Law package. Sen. Bam also doubted the government’s capacity to deliver on time the financial package proposed in the House version for workers who might be displaced once TRAIN 2 is enacted into law. “Malapit nang matapos ang 2018 pero hanggang ngayon, hindi pa rin nila naibibigay ang pangakong tulong sa ilalim ng TRAIN 1 habang nalulunod na sa taas ng presyo ng bilihin ang mahihirap na Pilipino,” said Sen. Bam, referring to the unconditional cash transfer program and the Pantawid Pasada Program. In a separate interview in San Fernando, Pampanga, Sen. Bam said locators in the Clark Freeport Zone might be forced to close shops and move to other countries if TRAIN 2 is enacted into law, which will lead to loss of jobs for thousands of Filipinos. “Marami sa industry associations ang nagsabi na kapag natuloy ang TRAIN 2, aalis sila at lilipat sa Indonesia, Thailand at Vietnam. Mahalaga ang trabaho ng bawat Pilipino at kailangan natin itong protektahan,” said Sen. Bam, who committed to fight provisions in TRAIN 2 that will affect the employment of thousands of Filipinos. “Marami na ngang palpak ang TRAIN 1, itutulak pa rin ang TRAIN 2. Siguraduhin na muna nating napag-aralan na talaga ang epekto ng mga panukalang ito kundi baka mayroon nanamang masasagasaang mahihirap na Pilipino,” said Sen. Bam. Sen. Bam emphasized that the government should first address the problems caused by TRAIN 1, like its effects on inflation and prices of goods, before pushing for TRAIN 2. Instead of insisting on the passage of TRAIN 2, Sen. Bam said the government should support his measure that aims to address the high prices of goods caused by TRAIN 1. Sen. Bam has filed Senate Bill No. 1798 or the Bawas Presyo Bill, which seeks to suspend the excise tax on fuel under the TRAIN Law when the average inflation rate surpasses the annual inflation target over a three-month period. The senator is pushing for the passage of the measure since there is a scheduled second round of increase in excise tax on fuel under the TRAIN Law in January 2019. Sen. Bam Aquino questioned the government’s failure to lower the prices of rice in the market despite its promise that rice importation will solve the problem. “Sino na ba ang nagmamando sa bansa? Itong malaking krisis sa bigas, hindi man lang masolusyunan,” questioned Sen. Bam. “Nag-import sila para maresolba ang problema pero mukhang lumala pa ngayon ang sitwasyon at nauwi sa rice crisis sa Zamboanga City,” added Sen. Bam. Sen. Bam’s pronouncement came in the light of Zamboanga City’s plan to declare a state of calamity due to rice shortage. 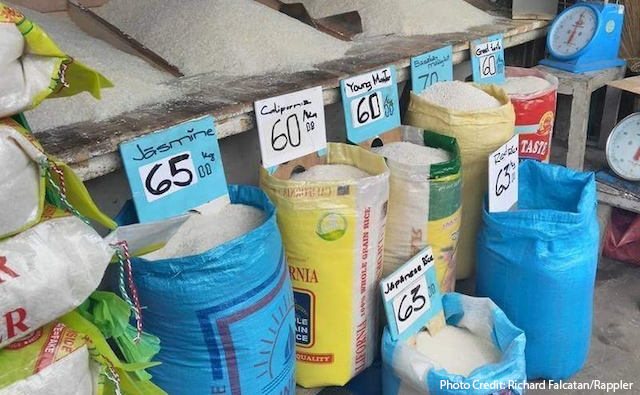 Prices of rice in the city went up to a high as P68 per kilo, with the lowest being sold at P55 per kilo. Earlier, the government approved the importation of 500,000 metric tons of rice to address the lack of supply of affordable NFA rice in the market. “Saan napunta ang ipinagmamalaking inangkat ng National Food Authority (NFA) para mapababa ang presyo ng bigas sa mga palengke?” asked Sen. Bam. Sen. Bam expressed fear that the imported NFA rice could land in the hands of traders who will sell it for a higher price, putting more burden on the shoulder of poor Filipinos. 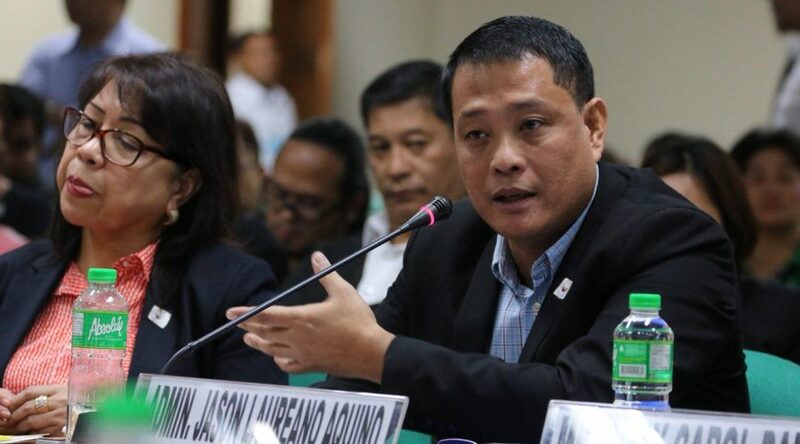 Sen. Bam renewed his call for the resignation of some NFA officials, led by its administrator Jason Aquino, for their failure to address the problem of lack of supply of affordable rice in the market. “Mahiya naman sila sa taumbayan at mag-resign na. Dahil sa kanilang kapalpakan, nalulunod ang mga pamilyang Pilipino sa taas ng presyo ng bigas,” said Sen. Bam. Earlier, Sen. Bam urged the NFA administrator to quit his post due to the agency’s failure to fulfil the 15-day buffer stock policy for almost one year, beginning March 2017. ROME, Italy — In a private audience with Pope Francis here, Sen. Bam Aquino asked the Holy Father to pray for the Philippines and poor Filipinos amid the challenges of injustice and suffering that the country is facing. 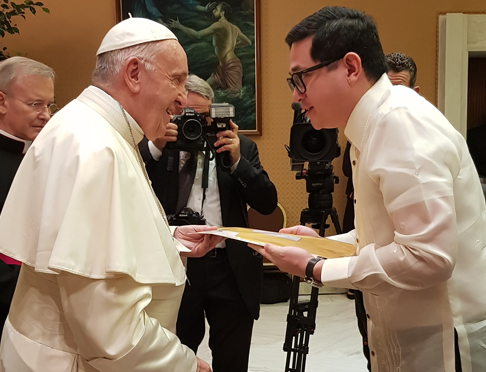 Sen. Bam, who shared his experience of meeting Pope Francis on his Instagram page, also presented to Pope Francis letters from members of the Philippine clergy, such as Bro. Armin Luistro of the Purple Cross Movement. “Holy Father, I have some letters from our religious leaders in the Philippines. 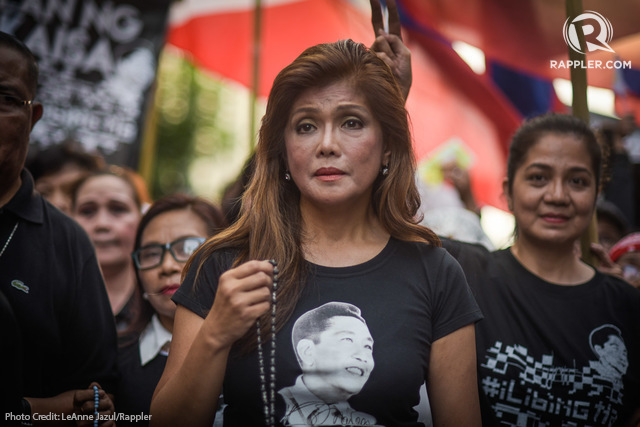 Our country needs your prayers,” Sen. Bam told the Holy Father during the private audience. In response, Pope Francis smiled back, took the letters and blessed Sen. Bam and the rosary that the senator was holding in his hand. Sen. Bam said one of the letters asked Pope Francis to pray that the violence in the Philippines comes to an end and for the welfare of the widows and orphans left by the drug war. Sen. Bam had the distinct honor of meeting Pope Francis as the country’s representative to the 9th Annual Meeting of the International Catholic Legislators Network (ICLN). In his message to Catholic and Christians legislators, Pope Francis said Christian politicians are especially called… with humility and courage, to bear witness to their faith. Sen. Bam, for his part, said Pope Francis’ message encourages Catholics to stand up for God and for fellow Filipinos, against all odds and with all humility and courage. “Kung totoong nananampalataya ka, dapat wala kang takot na manindigsan para sa Diyos at para sa ating mga kababayan,” said Sen. Bam. Sinaktan ka na’t ninakawan, sasabihan ka pang mag-move on. Hindi ba sa mga nawasak na relasyon, ang kadalasang nagsasabing mag move on ay ang nanakit, pero ang nasaktan ay naghahanap pa ng closure? Mahirap maka get over pag walang closure, lalo na pag pinamumukha sa publiko na walang kasalanan ang salarin. Klaro naman sa kasaysayan kung sino ang nagnakaw, nag-torture at pumatay. Napakadaling sabihing mag move on na lang, pero sa mga nasawi, napakahirap nito.